14,676 sq.ft. of commercial space consisting of ground-level retail with 2 floors of office above. It is expected that the commercial/retail component of the project will anchor the new intersection of 133A St and Central Ave (103 Ave), adding to the retail/commercial along Central Ave currently under construction at Evolve. 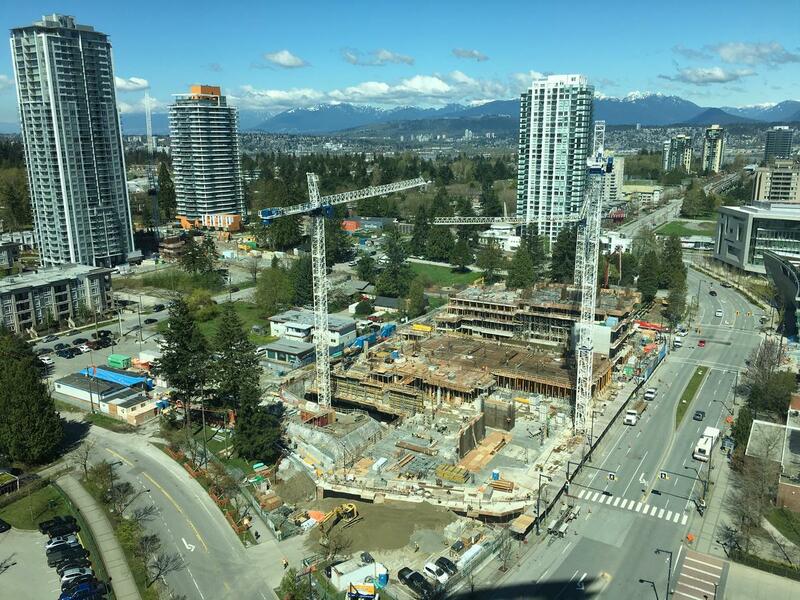 Central Ave will eventually connect directly through to Civic Plaza, Surrey Central station, and beyond, forming a new commercial/residential ‘High Street’ through Surrey City Centre. It was also indicated in the planning report that the project is set to proceed on an expedited schedule, with completion and occupancy intended by Fall 2020. This would mean the project would need to begin construction later this year. 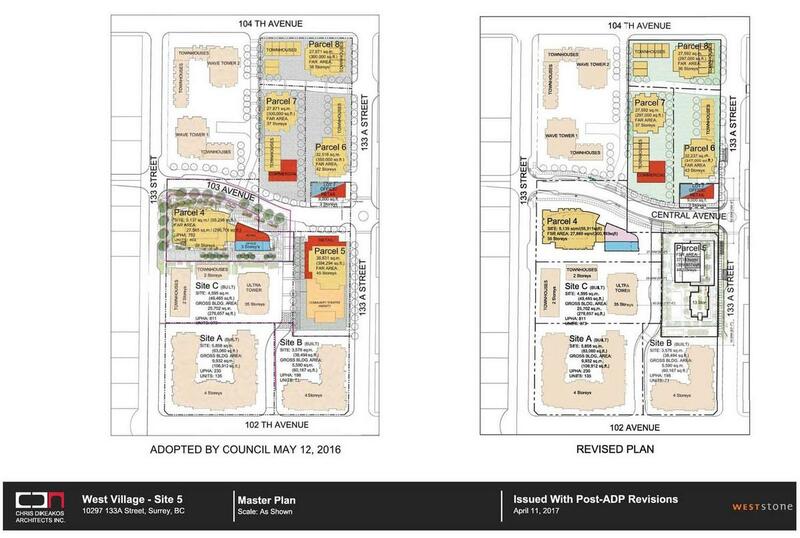 Revised Master Plan for West Village. Evolve currently under construction on Parcel 4 and subject proposal shown on Parcel 5. 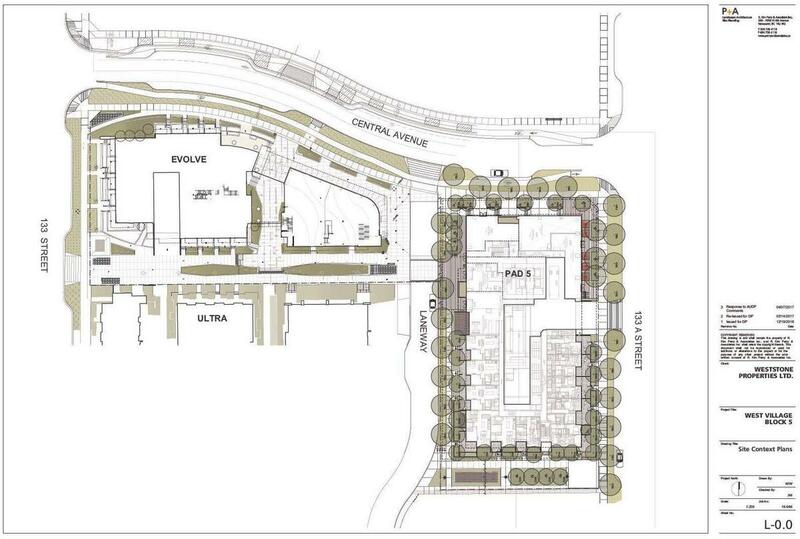 Site plan showing currently under construction Evolve and subject proposal. 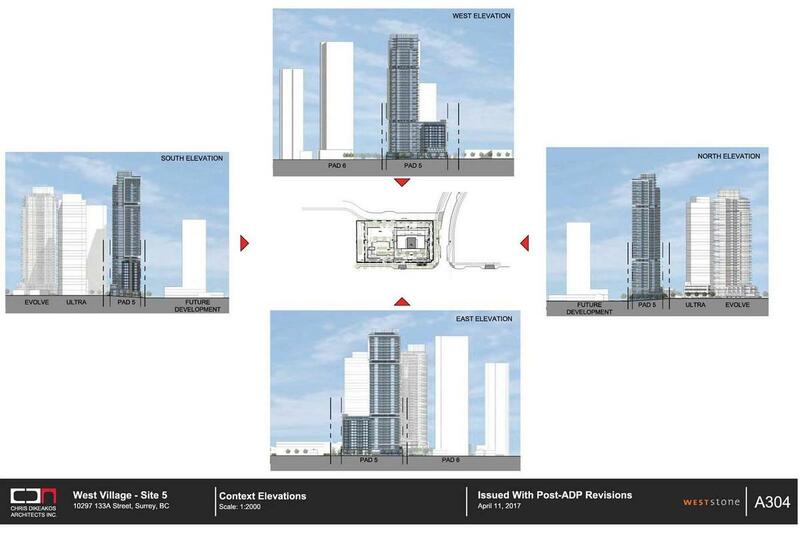 Elevation renderings of the project in relation to surrounding proposed and existing towers. View of the rapidly growing West Village neighbourhood. Subject site located directly in front of the existing 36-storey Ultra Tower.